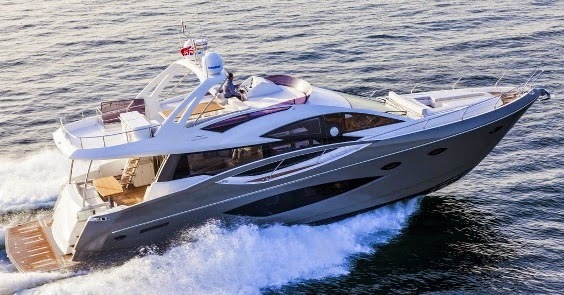 Born as a project of a 68 Fly back in 2009, the Numarine 70 Flybridge took five years to become a reality and make its appearance on the market. Currently its entry level model, the 70 Flybridge is a very important model for the Turkish builder who went in 2014 with an upgrade to its line, and a host of new projects presented. The 70 Flybridge is an interesting offer in this size, with an important light displacement for a 21 meter motor yacht, and a very good power to weight ratio. She offers a traditional four double cabins layout associated with boats of the size, having an owners room at midships, VIP forward, and two double cabins in between. A crew cabin with a small lobby is located aft. Power is standard twin MAN 1000hp and optional 1200hp units.